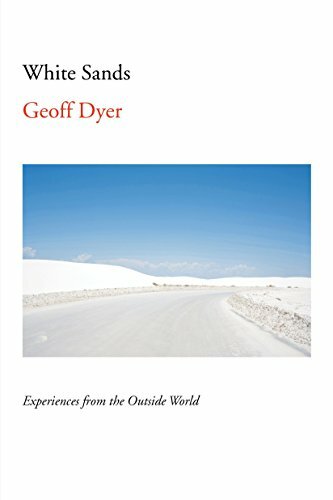 Geoff Dyer and "thin spaces." Nearly fifty years ago on the Dingle Peninsula of Ireland's County Kerry, a young Seamus Heaney entered the Gallarus Oratory, a dry-stone chapel "about the size of a large turf-stack," and had a small epiphany. In an essay Heaney described entering this thousand-year-old house of prayer. He felt as though he were "sustaining a great pressure," the burden of Christian history itself "in all its rebuking aspects, its calls to self-denial and self-abnegation, its humbling of the proud flesh and insolent spirit." He imagined the monks of previous centuries feeling a similar pressure within that place. When Heaney re-crossed the threshold and emerged into the sunlight amid "the dazzle of grass and sea" his heart lifted. This sudden feeling of happiness, he thought, must have been the very sensation those monks experienced again and again as they crossed that same threshold. He felt "a surge toward praise, this sudden apprehension of the world as light, as illumination." Perhaps what Heaney was describing was an encounter with a thin place. Associated with Celtic Christianity, thin places are certain landscapes where the veil between heaven and earth is said to grow diaphanous, thresholds that, once crossed, usher the visitor into a heightened awareness of God's presence. What follows is a lifting of weight, a sudden illumination. I recently met an Irish tree scientist, a famous biochemist who studies the effects of forest aerosols on human health. Her scientific credentials are impeccable. When I asked her about thin places, she told me about Gougane Barra, an island on a small lake where St. Finbarr the monk built an oratory in the 6th century, a place she said possessed numinous qualities. "There's a wall of prayer surrounding that place," she told me. I would feel it when I approached. The genius loci, the spirit of the place, would be palpable.